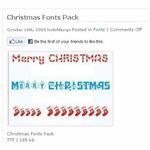 Christmas is nothing without your fantastic holiday graphics, so why not take some time to download some Christmas fonts for Photoshop this year to spice things up? Whether you are making cards, gift tags, place markers, ornaments or more, you will find a lot of uses for these Christmas fonts. 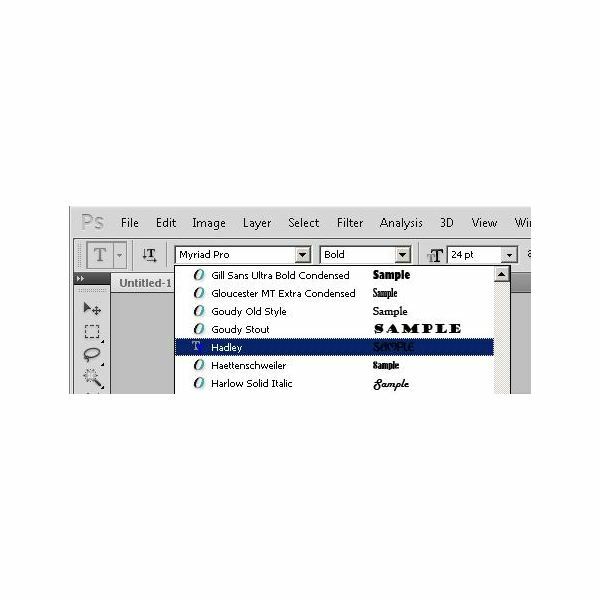 When you look for Christmas fonts Photoshop can use, look no further than the same True type fonts that work with your other Windows applications. Once you realize this, you will find that locating Christmas fonts for Photoshop will be a lot easier than you thought. Here you will find five of the best Christmas fonts that you can use with your designs this holiday season. Free Christmas Fonts (http://freephotoshop.org/2009/03/free-christmas-fonts) is a set of free fonts that will help you maintain your holiday theme throughout your graphics and type. 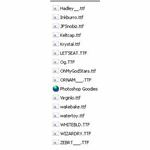 Open the ZIP archive of fonts included with this download and you will find 15 separate Christmas fonts that you can use. Best of all, this collection of fonts is free! Christmas Card (http://font-styles.com/cool-fonts-27.html) is a free font that you can use in Adobe Photoshop, Microsoft Office, or other applications. 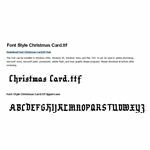 With a look that reflects the text in traditional Christmas Cards, this font will be perfect for the cards you create. Grinched Regular (http://www.fontinator.com/font-grinched.html) has a look that you'd expect from the fabulous grouchy Christmas guy that you can now use for Grinch themed cards, and other creations this holiday season. 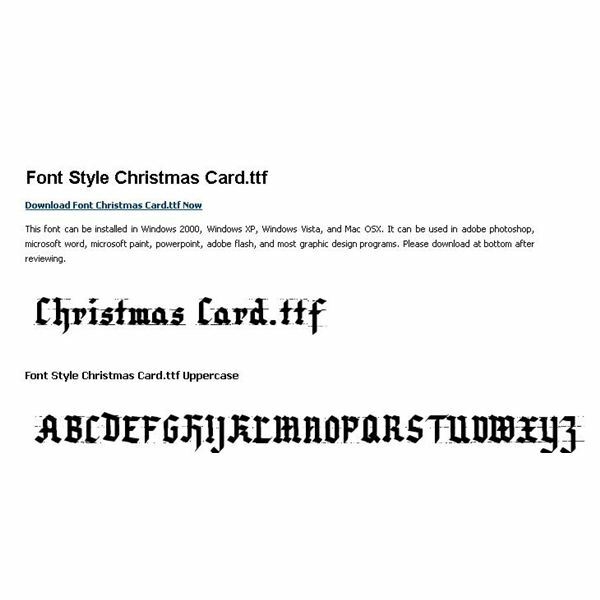 This will surely be one of your favorite Christmas fonts. Just click the "Download" button after clicking the link and you will have this fantastic free font for use inall you applications, including Adobe Photoshop. Grab the Christmas Fonts Pack from Lord of Design to get fonts that look like candy, Christmas ornaments, or Christmas stockings. This is a perfect collection that will adorn all your decorations, gift tags, lables, newsletters, and other creations in a fun, seasonal way.This free download includes three fonts, so get started with them now! Almonte Snow (http://font-styles.com/cool-fonts-164.html) is a holiday themed font that looks as though it has been capped with a fresh Christmas snowfall. This is a great font for use with winter designs as you prepare all your Christmas artwork. Now that you have found and downloaded these exciting Christmas fonts Photoshop can use, you will have to make sure that you install them so that your computer can use them. 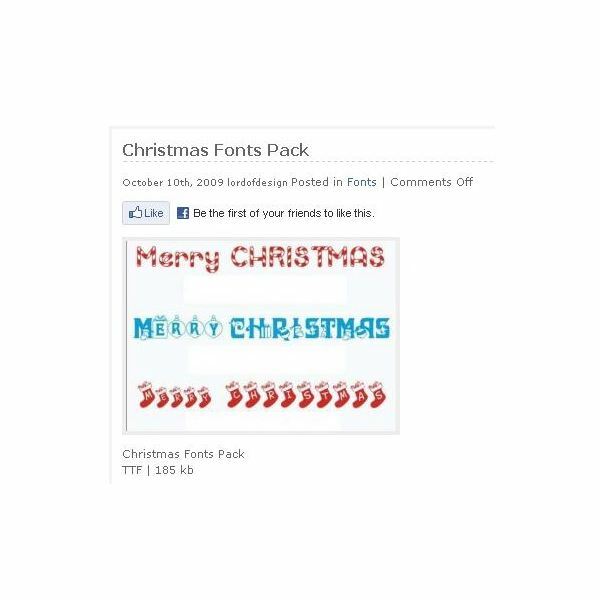 These Christmas fonts for Photoshop should be installed on your computer the same way you would install any other font. 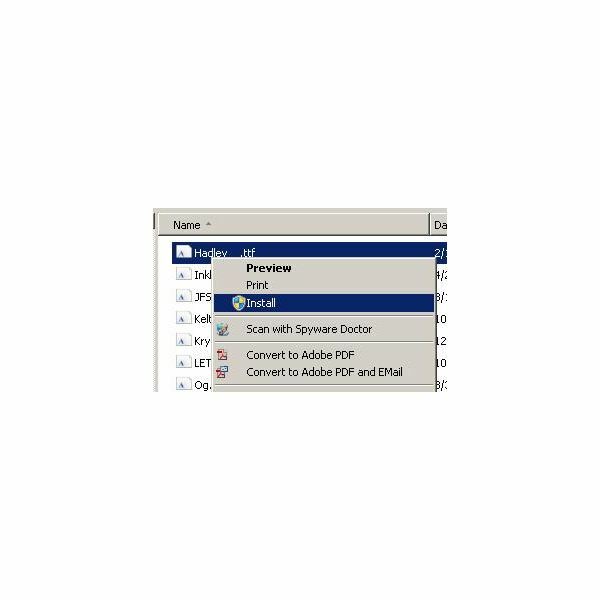 Once you save the fonts to your hard drive, expand the file to a new folder (if compressed) and then right click on the font's name in Windows Explorer and then select "Install" from the context menu. 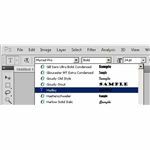 Once you have installed the font, start (or restart) Adobe Photoshop and you will now find your newly installed Christmas fonts for Photoshop on the fonts menu when you hav e the type tool selected.